Buffalo drivers are not immune to the growing epidemic of prescription opioid abuse. When a person under the influence of an opiate gets behind the wheel, everyone on the road is put in greater danger. According to the results of a public investigation posted on the JAMA network, the use of prescription opioids by drivers is increasingly implicated as a contributory cause in fatal motor vehicle crashes. The article states that in this study of 3,642 drivers involved in 18,321 fatal 2-vehicle crashes, prescription opioid use as indicated by toxicological testing results was associated with a significantly increased risk of crash initiation, due in large part to failure to keep in proper lane. In the United States, motor vehicle crashes are the second leading cause of unintentional deaths. Drug overdose is the first. In the past two decades, prescription opioids have been detected in more than 7 percent of fatally injured drivers, up from just one percent prior to the onset of the epidemic in the mid-90s. The study provides compelling evidence that driver use of prescription opioids may double the risk of fatal 2-vehicle crashes, independent of demographical characteristics, driving history, and alcohol use. This finding is generally consistent with previous studies. A recent meta-analysis found that prescription opioid use was associated with a 47 percent increased risk of crash initiation. The study found drivers under the influence of prescription opioids often failed to stay in their proper lane. Failing to stay in their lane accounted for 54.7 percent of errors leading to 2-vehicle crashes by drivers that took prescription opioids, compared with 40.4 percent of errors by drivers not under the same influence. Crossing the center lane was identified as being a particularly dangerous error. Driving under the influence of drugs, such as opioids, is prohibited in every state. The study notes that currently, 16 states have zero-tolerance laws for all or select opioids, while Ohio and Nevada have per se laws that specify legal cutoff concentrations for some opioids. Variation in regulations across states is due in part to inadequate research and lack of consensus on prescription opioids and driving safety. 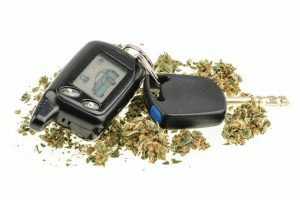 To tackle the problem of driving under the influence of drugs, law enforcement personnel are increasingly using oral fluids for quick roadside tests to screen for marijuana, opioids, and other drugs. 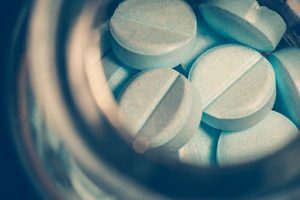 If you are a New York driver who was injured in an accident and you suspect prescription opioids were a factor, one of the experienced Buffalo attorneys at the Law Offices of James Morris can help you navigate the laws and get the compensation you deserve. Many Buffalo residents and visitors are gearing up to celebrate Saint Patrick’s Day. Last year, Buffalo ranked No. 4 among the top ten cities in the US celebrating this holiday. In fact, the 78th annual celebration parade in downtown Buffalo brought out an estimated 50,000 people. Saint Patrick’s Day is commonly known as a drinking holiday, which comes with risks that revelers should be prepared for. Be aware. Drunk drivers will be out this season. According to WalletHub, about 60 percent of Americans planned to celebrate Saint Patrick’s Day in 2018. The rate at which drunk driving causes a fatality during the holiday is every 36 minutes. About 75 percent of fatal crashes involve drivers who have consumed twice the legal limit. Additionally, Saint Patrick’s Day is the 4th most popular day to consume alcohol – just behind Fourth of July, Christmas, and New Year’s. The National Highway Traffic Safety Administration reports that 60 people were killed in fatal crashes during the St. Patrick’s Day holiday period in 2016. 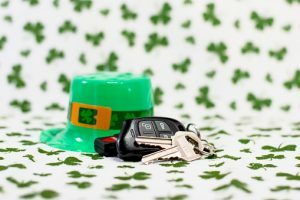 Despite the repeated slogan “don’t drink and drive,” it’s probable that many drivers will be under the influence of alcohol this Saint Patrick’s Day. Police will likely be out in full force looking to keep drunk drivers off the road, but unfortunately many of these drivers will go under the radar and it will be the responsible drivers who pay. At the Law Offices of James Morris, we have seen the devastation caused by drunk drivers. A single crash can change a victim’s life forever. Injuries can range from broken bones to permanent spinal cord injuries – leaving a victim with a heap of medical expenses, financial hardship, and loss of life enjoyment. At worse, a drunk driving accident can result in someone’s death, causing emotional and psychological suffering to loved ones. Determining negligence in a drunk driving case can often be simple. When police respond to a crash, they will most likely test the at-fault driver to determine his or her blood alcohol content. In some cases, drunk driving accident cases can be more complex, if a bar or establishment can be held accountable for knowingly serving alcohol to an apparently intoxicated individual or minor under New York’s dram shop law (General Obligations, Section 11-101). Should you or a loved one be injured in a car accident due to a drunk driver’s reckless behavior, you may be eligible for compensation for medical bills, lost wages, pain, and suffering. It’s important that you contact our law firm to get started on your personal injury claim. We offer free case evaluations and operate on a contingency fee basis, which means you don’t pay unless we win. You were just involved in an auto accident in Buffalo. You followed all the standard accident procedures – exchanging insurance information and reporting the accident to the police. 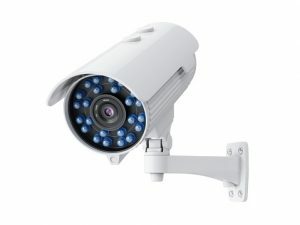 When it comes time to file your claim, one of the most important components you will need is a detailed police report. If you have any questions, an experienced Buffalo car accident attorney can help you navigate this complex process. What will police look for at the crash scene? Reporting the number of parties involved. Reporting any medical attention needed. Noting the tire tracks in the road. Determining the direction traveled by each vehicle. Documenting road conditions, defects, and environmental factors. Determining if any parties were drunk or drug-impaired. The police may not always arrive at the crash scene. The accident may not have been serious enough, or there may have been another emergency nearby. When this happens, it’s crucial that you gather evidence from the crash scene. This can be done by taking pictures or videos of the crash scene and speaking to witnesses. You may then submit a crash report at the nearest police station. Even if you feel ok after a crash, injury symptoms may not appear until days later. The cost of medical treatment and time spent away from work can be financially overwhelming. Without a police report, obtaining compensation from the other driver’s insurance company is far-fetched. Without any hard evidence proving who was at fault, the insurance company may deny your claim. However, with a detailed police report, your attorney can use the evidence to help you build a solid claim and ensure that your rights are upheld. 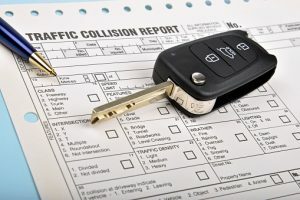 Obtaining a copy of your Get Accident Report can take some time. If the report was filed electronically, then it may be available after 14 days. If a paper form was submitted, it may not be available for 30 days from the date of the accident. In the meantime, an experienced car accident attorney at the Law Offices of James Morris can help you get your claim started. Our legal team has decades of combined experience representing injured motorists in the greater Buffalo area. Contact us today to find out how we can help you. 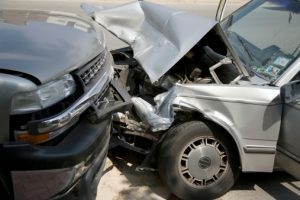 Head-on collisions in the greater Buffalo area rarely happen, but when they do, negligence is almost always a factor. Such crashes occur when another motorist crosses a center line or drives the wrong way. That’s exactly what happened in October on Route 33 in Buffalo. Two people were hospitalized after one motorist, driving the wrong way, struck another motorist. According to The Car Crash Detective, you are more likely to sustain serious, or life-threatening injuries in a head-on collision when driving faster than 43 mph. Many of today’s vehicles can absorb the impact and save your life in a collision at 40 mph. However, your front-end frame, seatbelt, and airbag can only do so much at higher speeds. When two vehicles collide at 40 mph each, the force of impact is comparable to hitting a parked car at 80 mph. Even if you reduce your speed to 30 mph, if the car that hits you is traveling at 50 mph, the impact will still be severe. Injured in a head-on collision? We can help! A head-on collision can turn your life upside down in a split second. Your injuries may be severe enough to put you out of work for months and unable to engage in activities you enjoy. Even worse, the other driver’s insurance company may be reluctant to compensate your losses to the fullest extent. That’s why you need an experienced Buffalo auto accident attorney in your corner. The legal team at the Law Offices of James Morris has decades of experience helping injured motorists maximize their compensation. To learn more, contact us today. The clocks have turned back an hour, the foliage has come and gone, and November is in full swing. What does this mean for drivers in the Buffalo area? According to a 2016 report by Statista (the most recent report), 2,998 people lost their lives on US roadways during the month of November. And as drivers in Buffalo know very well, motor vehicle accidents often occur this time of year due to shorter days, longer nights and increasingly hazardous weather conditions. Drivers around 50 years old may require twice as much light as drivers around 30 years old. Daylight savings can also affect drivers’ circadian rhythm or internal clock. The prolonged nighttime hours can increase the release of a natural chemical called melatonin, which programs us to sleep. This can put drivers at risk of falling asleep behind the wheel. In fact, according to the New York State Governor’s Traffic Safety Committee, accidents caused by drowsy driving are most likely to happen during the first week of the time change. According to 2014 statistics by New York State Department of Motor Vehicles (the latest statistics), there were a total of 1,343 traffic accidents caused by drowsy driving statewide, which resulted in eight fatalities and 687 injuries. Another 5,198 accidents were caused by limited or obstructed visibility. This resulted in 20 fatalities and 2,231 injuries. According to Esurance, the month of November often ushers in slippery road conditions that Buffalo drivers must adjust to. 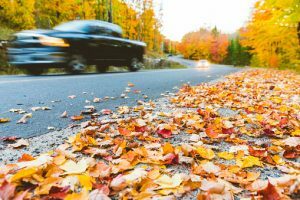 Wet roads, fallen leaves: After the foliage comes to an end, leaves may cover the roadways. When combined with rain and dampness, fallen leaves can be just as slippery as ice. Additionally, they can cover traffic lines in the road, making it more difficult for drivers to navigate. Icy road conditions: As the temperature dips below freezing overnight, ice and frost can develop on the roadways. Drivers should especially be aware of icy road conditions when approaching bridges, underpasses, and other areas that may not receive a sufficient amount of sunlight. Occasional snow: While snow is more likely to happen during the winter months, it can happen in November, especially in the Buffalo area. 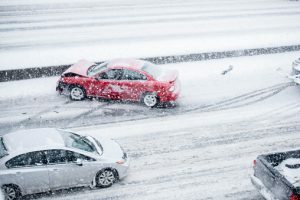 Drivers unprepared for the first snowfall of the season in Buffalo (which usually occurs in late October) can be at risk of causing an accident. During the month of November, Buffalo drivers are urged to reduce their speed, maintain a safe following distance, avoid distracted driving, and stay sober. If you or a loved one was injured in a crash caused by another driver, contact our law firm and find out how we can help you. A section of Niagara Falls Boulevard has proven to be so dangerous for pedestrians that safety officials have vowed to make immediate road safety changes. The section of I-290 separating Tonawanda and Amherst is so congested with confusing vehicle traffic patterns that it has become a deadly ordeal for pedestrians trying to make their way across. Such accidents can lead to severe and lasting injuries because pedestrians are vulnerable road users. They are more prone to the worst injuries because they lack the same protections as vehicle occupants: seat belts, airbags, windshields, etc. Data from a new national study affirms what many locals and have known for some time: From 2009 to 2016, pedestrian accident deaths at intersections have spiked. 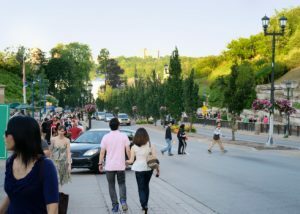 The Insurance Institute for Highway Safety concluded that pedestrian fatalities, specifically on arterial roads like these, have climbed 67 percent in just seven years. Arterial roads account for just four percent of streets nationally, described as wide thoroughfares in cities and suburbs designed to accommodate heavily traffic traveling at or near speeds akin to those on expressways. In “dark conditions,” i.e., at night, pedestrian deaths on arterial roads overall are up 56 percent. The towns of Tonawanda and Amherst have taken action by breaking ground on a street lighting project in the region, according to The Buffalo News, investing approximately $1 million for new light poles in between the two towns for a stretch of 3 miles. 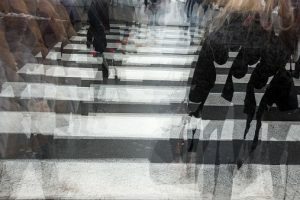 Although these factors haven’t definitively been linked to the rising number of pedestrian accident deaths in New York or elsewhere, it’s widely accepted that both factors contribute to distraction, which we know for certain is behind a rise in the ballooning number of overall traffic deaths. If you have been been injured in a pedestrian accident in the greater Buffalo area, you should speak to an experienced attorney at the Law Offices of James Morris.